If you're looking for products to sell, and don't want to deal with the shipping and storage, we can help... for only $7.95. 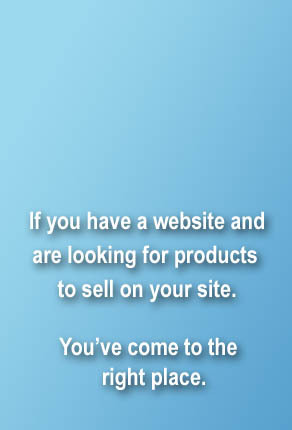 We will give you the names of companies that have fabulous products. These same companies will ship their products directly to your customers. Your customer sees a product on your site, then buys it from you. You pay your drop shipper your percentage for the product. You keep the profit. If you have a web site, but not a lot of room for excess stock on hand, or if you just don't want to deal with shipping, this way certainly makes the most sense. Our list of drop shippers is quite varied. You'll find beauty and health products, garden items, gifts, art, electronics, home decor, pet care items, jewelry and more. Don't have the time or storage space - Let us be your Drop Ship Solution. Newly Updated List for 2015 (September)! Payment processing is now handled by Authorize.net - PayPal Payments are availble by contacting us directly. Copyright 2006-2015 © SharAmbrosia. All rights reserved.